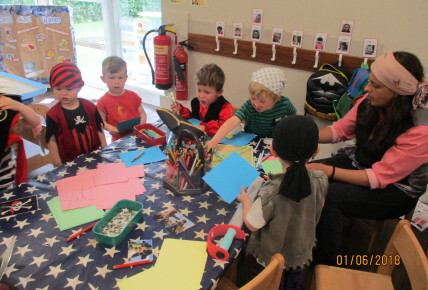 Busy Bees at Oxford - Dress like a Pirate day was a big success! Dress like a Pirate day was a big success! "Dress like a Pirate day" was a huge hit in our Preschool room! The staff all dressed up, as well as many of our children. We some some amazing home made Pirate outfits! 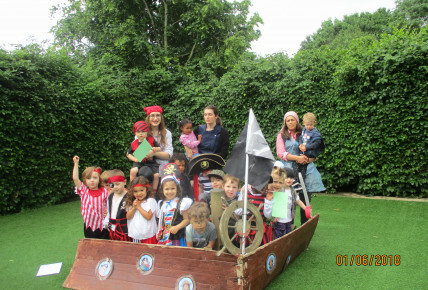 They enjoyed role playing in the garden with the "Pirate Ship", and had fun talking like pirates for the day!